Nearly six years after our move to this home in Topsfield, MA (February 17, 2009), and the traumas of losing both parents, now water under the bridge… continually falling ever-so-softly down a rocky edge to a deep pool below… I’m noticing moss and lichen tucked in crevices birthing ever new meaning in the dark and cool wetness. Survivor’s mission, compassion fatigue, and estate-management fatigue are part of my personal fabric now. These life experiences I didn’t ask for, but received blindsided. I realize I have tempered my emotional overwhelm with an unconscious-becoming-conscious psychic numbing which is beginning to wear-off. It is like a fog being lifted to reveal a high-definition clarity. 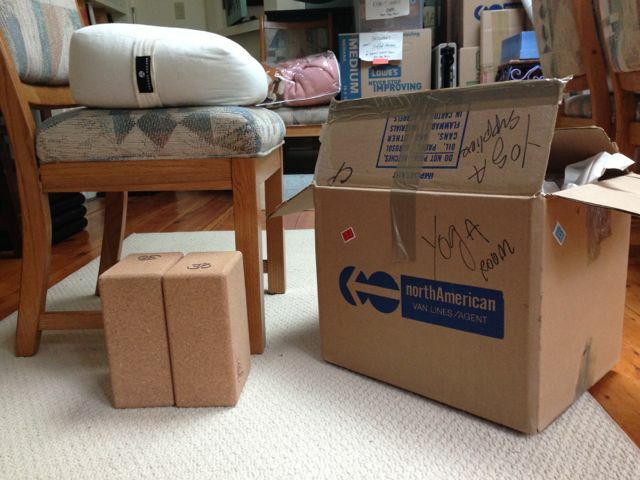 This morning I unpacked a box I labeled “Yoga Supplies” when I packed my previous practice space at my family home (now sold seven months) in Syracuse, NY. It was like unwrapping pieces of my broken heart and restoring them to built-in shelves in my new home yoga practice space. As the pieces were restored, I felt some settling in my soul. Today I begin a new morning practice looking forward to feeling more and more settled: body, mind, and spirit. 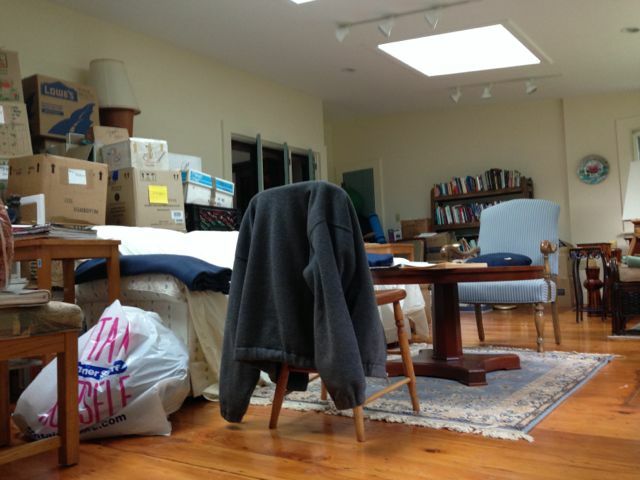 I have planned an estate-management respite break this August and early September. I will resume estate-management beginning with Estate Triage Room A in mid-September.